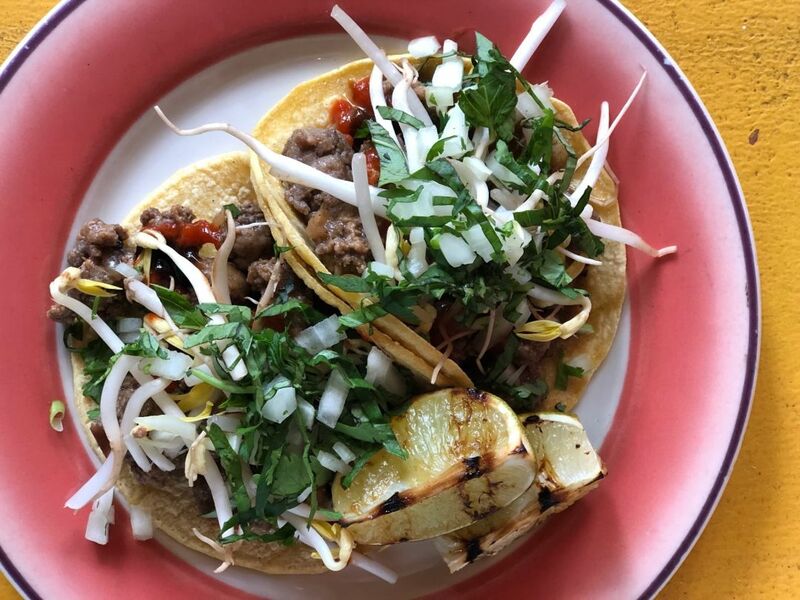 Anh Luu's pho tacos feature multicultural flavors and Laura's Lean Beef. A first-generation Vietnamese American who grew up in New Orleans, Luu certainly knows a thing or two about the iconic Vietnamese noodle soup. But the chef-owner of Tapalaya in Northeast Portland isn’t making pho. She’s making pho tacos, trading the bowl for tortillas, and swapping out the usual sliced sirloin for Laura's 92% Lean Ground Beef, which is all-natural, with no added hormones and antibiotic-free. “Mexi-Asian is my thing,” she says with a smile. 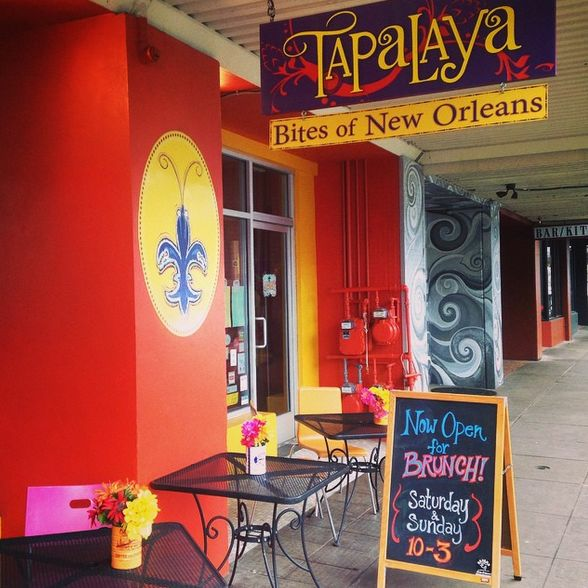 That’s why every Tuesday is Taco Tuesday at Tapalaya — even though it’s a Cajun joint. 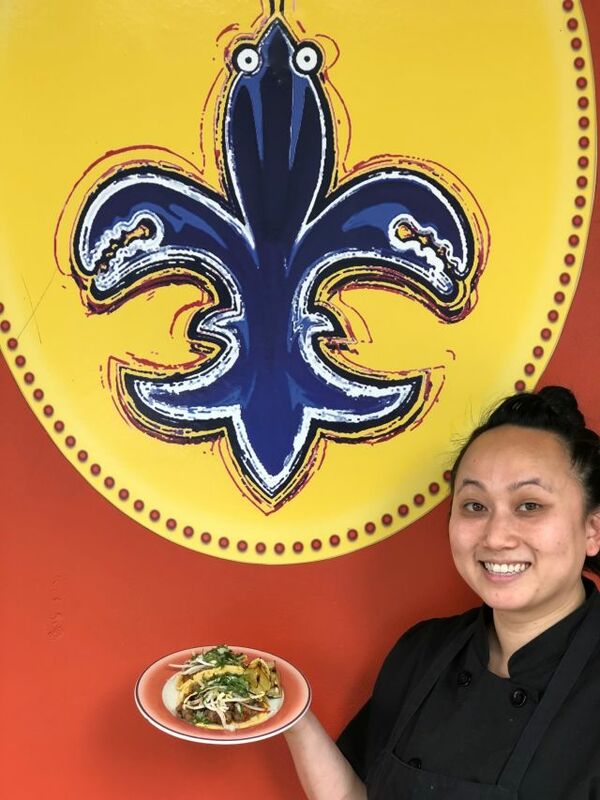 Luu has earned loyal fans and rave reviews for putting a Vietnamese spin on New Orleans classics (think crawfish étouffée with lemongrass) but she can’t resist adding them to Mexican foods too. Her “phorrito” pop-ups inspire lines out the door. Luu starts by cutting off some of the most charred parts of the onion and scraping the peel off the ginger, which will allow the aromatics to have a smoky depth without any burnt bitterness. 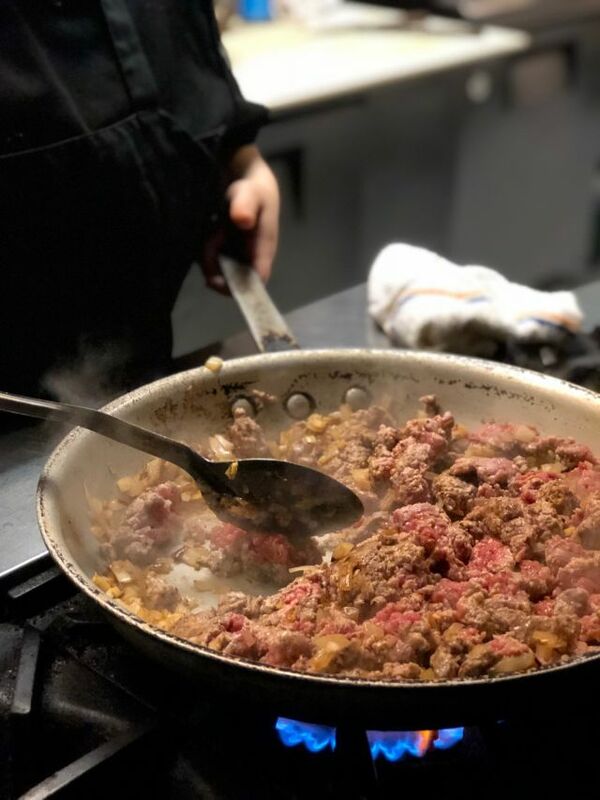 She dices them up and gets them sautéing while she mixes Laura’s Lean ground beef with her housemade five-spice blend. It’s a mostly traditional combination of ground spices — fennel seed, coriander, star anise — but with nutmeg instead of cinnamon (she adds it separately so she can control the amount) and cayenne instead of Szechuan peppercorns (she is from New Orleans after all). A hefty dose of fish sauce adds that all-important salty funk. Luu adds the meat mixture to the onions and ginger in the pan, and almost immediately the whole kitchen smells like, you guessed it, a big bowl of pho. The ginger, onion, star anise and beef are all mingling into the most redolent, mouth-watering aroma. Once the meat is thoroughly browned, she deglazes the pan with a generous splash of stock and lets it simmer until the water evaporates and the juices thicken into a rich gravy. After warming a couple tortillas on the grill, she fills them with the spiced beef, then piles on all the usual pho accompaniments — a few squirts of hoisin and sriracha, a pinch of crunchy bean sprouts, a couple slices of jalapeño, and the fresh herb mix. And with that, one of the most iconic Asian noodle soups has been transformed into one of the most iconic Mexican street foods. And it totally works. Chef Luu poses with her pho tacos. To make the taco filling: Preheat a grill to high heat. Grill the onion on the grate cut side down and the ginger skin side down, until blackened and charred on that side, about 10 minutes. Remove from heat. (Alternatively, char them under a broiler.) When cool enough to handle, peel off the onion skin, remove some (but not all) of the charred flesh and dice. Scrape away the ginger skin with the edge of a spoon and finely chop. Meanwhile, in a large mixing bowl, combine the beef with the five-spice powder, cinnamon and fish sauce. Mix with your hands until thoroughly combined. Heat the oil in a large sauté pan over medium-high heat. Add the diced charred onion and garlic and sauté until tender, about 5 minutes. Add the spiced beef and sauté, breaking up the meat into smaller pieces, until cooked through, about 5 minutes. Add the broth, stirring to scrape up the browned bits, and allow to simmer, stirring occasionally, until the water has cooked off and the liquid has reduced to a thick gravy. To make the onion-herb topping: In a small mixing bowl, combine the onion, cilantro and basil until evenly mixed. To serve: Cut the limes into wedges and brush lightly with oil. Grill for about 3 minutes until grill marks appear. (Alternatively, lightly char them under the broiler.) Lightly toast the tortillas on the grill (or over a low gas flame or in a sauté pan) until warm. Spoon the taco filling into each tortilla, drizzle with a little sriracha and hoisin sauce to taste. Add a pinch of bean sprouts and a few slices of jalapeño, then a spoonful of onion-herb topping. Serve with charred lime wedges.